Sulemani has done 12 solo shows around the world, including few in the UK, Sweden, and the US and other countries. Tariq Hameed Sulemani, a Pakistani wildlife photographer, has made the country proud by winning the Best of Nation Award at the World Photographic Cup 2019. The competition receives entries from all over the world and Tariq’s talent is an example of what a Pakistani can achieve if he or she works on any innate talent. The Photograph that proved to be the best amongst hundreds of other entries. 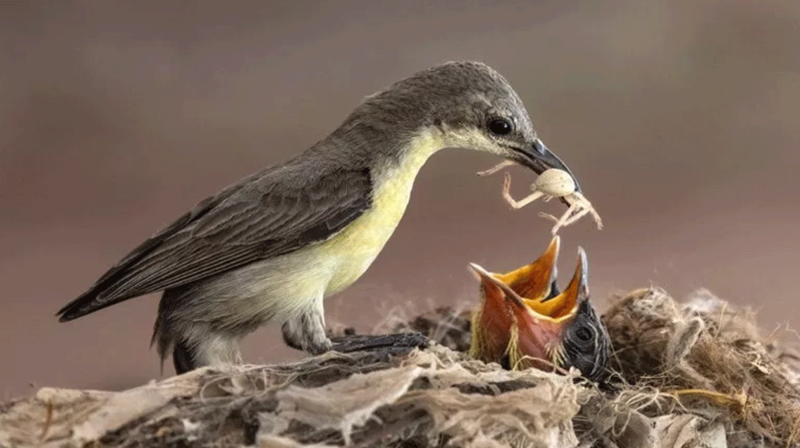 The breathtaking photograph of a bird feeding its newly-hatched chicks has moved everyone at the World Photographic Cup. Born and raised in Jahanian, a small town near Multan, Tariq Hameed has always been a nature-lover. He used to spend hours in the green fields looking for wildlife near his hometown. His love for nature made him travel place to place in search of majestic sceneries.